Hello readers! We’re here today to reveal the awesome cover for Opal Charm: Hope In Nautical Dusk! Check it out below! ​Hello readers! We’re here today with an interview from Leah Vernom regarding her new book Impure. Let’s get started! It differs depending on if I’m writing fiction or nonfiction. Starting off a fictional story, I have to be completely rested and open to new ideas and inspirations. Writing nonfiction, I usually have some kind of emotion going on: anger, sadness, or pride. I harness those attributes and start to write in a stream of consciousness. Then I go back and edit for clarity and typos. Are your characters based off of people you know? Actually, not really. I feel like my characters are usually bits of myself at different points in my life. At one point, I was very naïve so I’ll create a character based of that. Now, I’m very sassy, so I’ll make another from that characteristic. Regarding your characters, do you relate to any of them? Oh, yes. With each of the characters I create, they must be relatable. I create characters that even though they are the ‘bad guy’ you still can understand why they might have fallen into a trap of bad decision making. Because, I believe, that in every bad person there is good and in every good person there is bad. I keep that in mind when I’m plotting characters. I want them to be life-like and complex. Did you have to do any specific research for your book? I did a lot of research. Some stuff I used and others I didn’t. The most research I did was for the world-building. I looked up so many photos to kind of etch these ideas in my head. I could no longer think of this world as the one we live in now, but one far, far into the future where the world was very so dissimilar and dark. How did you come up with your book’s plot? This may sound weird, but it just came to me. When I listen to music, sometimes story ideas form in my head. It starts with a voice, then a character pops up, then a situation that the character has to face comes into fruition. That’s how Impure began. I had this idea: what if the world in the future was like the world of the past and slavery was reversed. My favorite scene was the war scene. I wanted the reader to feel the plates exploding, the carnage of war firsthand as if they were standing smack dab in the middle of it. Why is diversity in books important to you? It is important because this world is not black and white. And representation of ‘all’ people is needed more than ever. To see a Latino superhero or a fat heroine who isn’t the sidekick is important. We are not all straight, white males. Those aren’t the only people who enjoy speculative fiction or comic books. We need books to represent the world we live in today. And unfortunately, we have some ways to go. I’d not so much change the story line, but it could probably be tightened up sentence structure-wise. I went over the beginning thirteen times and the end about four times. I think I ended up with what I wanted it to be. Can you share any plans for a new novel with us? Right now, I’m working on a memoir about my life growing up fat, black, Muslim, and poor. So, all the other installments are on hold…for now. You can see me everywhere! Under the rule of a tyrant, Americans were divided by race and class. Hate and inequality reigned. Hispanics and Blacks had no choice but to overthrow the government and exterminate the Caucasian “Europe” race. The few Europes who managed to survive are now classified as Lower Residents and are used as slaves to rebuild the New America—The Southern Region. Sixteen-year-old Saige, whose parents broke the “purity clause”, pays for their mistake far after their publicized executions. As an Impure, she now must escape the tyranny and sneak over the Border to freedom. Avi, who is destined to succeed her father as General, is conflicted by her loyalty to her authoritarian Elite family and her love for a Europe rebel. Leo, a Lower Resident worker who rebels believe God has sent, will lead them to salvation against the Union. These three teenage adversaries from different castes are forced to rely on one another to thwart a dictator’s plans for mass genocide. And they’re about to start a revolution. Leah Vernon is a twenty-something African-American and a proud Muslim from Metro Detroit. She loves Sailor Moon and X-Men and always tries to incorporate mystical elements into her fictional worlds. Her main focus is bringing diversity to commercial YA/NA fiction. Well, because it’s needed. Badly. She also has a B.S. in management, an M.A. in creative writing/fiction, and an MFA in publishing from Wilkes University. When she isn’t writing or eating tasty foods, she’s modeling and tending to her body positive style blog. There’s some exciting blog tours and review opportunities in the coming months and we’re really excited to share them with you! Mo Powers Mo Problems! It’s a new school year for the Parker Sisters but it’s the same song and dance. Get good grades, avoid being kidnapped or killed before dinner, and don’t forget to take to out the trash. But this year there are a few new players in the game. Players who are as special as the Parker Sisters. Let the games begin. The Gift of Twilight flourishes within Opal Charm as winter descends on Dewdrop. Life was already rough before, but Opal’s got new obstacles to face – getting into high school, bringing her brother back home, and training to protect Athre and Earth from Samael, the mysterious overlord who seeks to rule all, and put an end to her and the Charm lineage. The balance between harsh truths and sweet lies is more fragile than ever. Yet, as winter rolls on, the balance begins to break as a new threat emerges. Memories Opal once trusted are disintegrating her friendships, and lies are clouding her Path of Dawn and Dusk. Opal must seek the truth while protecting those close to her, no matter how painful it may be. Hello my pandas! Today I have a special treat for you: a Rich in Variety interview with Karma Kingsley, author of Finding Lizzie. Her book was just released a little over a month ago, and I seriously need to read it ASAP. What is the book about? Well, here’s what Goodreads has to say: Lizzie doesn’t know what she wants from life, but she’s sure it’s not the attention of her suffocating boyfriend, RJ. A chance encounter with a group of women on the day of the local Pride parade leads her to meet the wild, free-spirited Kerra. 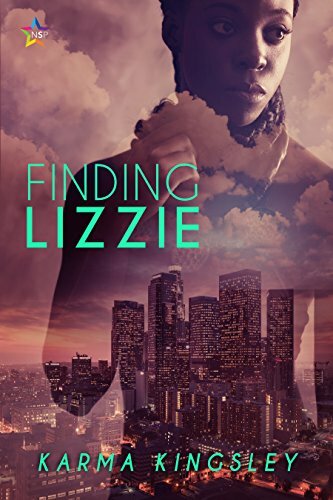 Lizzie begins to realise she’s crazy about Kerra, but how can she come out in a small town where prejudice is rife and even her own mother thinks being a lesbian is wrong? Can Lizzie find herself without losing everything else in the process? Announcements: New prices & Beta/Sensitivity Readers! Hey, guys! We have some news that we want to share with you all. We have now added prices to our tour services, and we are now looking for sensitivity readers! We are now adding prices to our tour services! We will have a half price discount for any author who signs up between January 1st-January 31st. You can find our new prices on our services page right here. We are also now looking for sensitivity/beta readers. You can find more information on how to sign up as a beta/sensitivity reader right here. If you’re an author looking for beta/sensitivity readers, you can learn more about them here on our services page.